Jackie Kashian's comedy is like listening to a really racy episode of All Things Considered! She is comic, writer, and actor, no surprise she was an all time favorite on the the Conan O'Brien show, has a half hour special on Comedy Central and has recorded an episode of This American Life with Ira Glass, Her latest CD, "It Is Never Going To Be Bread" was one of the top ten comedy albums of the year on Amazon. She hosts a weekly cult fave podcast called "The Dork Forest" where she creates a safe space for people to admit that thing they dork out about more than anyone. Jackie is a national touring comic with a new hour standup special “This Will Make an Excellent Horcrux.” It is available on DVD or $5 download on www.allthingsrecords.com.Tune into The Dork Forest on iTunes or at her website: www.jackiekashian.com. "Jackie is probably best described as a comic with a sardonic delivery matched with a geeky interior and surprisingly chill exterior. That's perhaps the greatest thing about Jackie, her very real, very personal delivery, and very human thoughts on what she's expounding, coupled with a voice that just barely betrays the fact that she's just a little smarter than everyone listening." 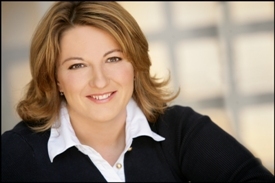 "In (a) world ridden with podcasts...The Dork Forest is a Diamond"
"Jackie Kashian is like the comic next door - if the comic next door is prone to acutely hilarious family stories" (her podcast - The Dork Forest is) "dependably entertaining." "The gem of the night was Jackie Kashian. Her droll, perceptive description of her family was hilarious." Hosted by Rob Haney and featuring Andy Beningo!